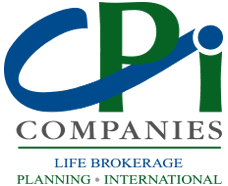 CPI Life Brokerage is unique in its unwavering commitment to excellence in underwriting, design, implementation, and service. From our staff of experienced underwriters, to our advanced market design team, CPI Life Brokerage is always at the vanguard of best practices in the life insurance industry. Since our inception we have been committed to providing the most comprehensive suite of services available to life insurance professionals serving the high net worth market.